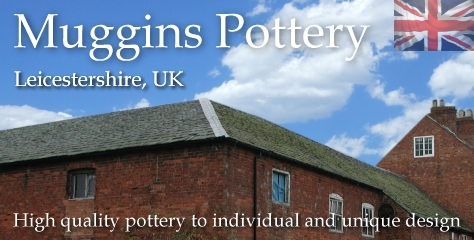 Miscellaneous Pottery | hand-made pottery from Muggins Pottery in Leicestershire - wedding gifts, birthday presents, christening presents and anniversary gifts. A storage jar/ashtray with Smokey Joe on the front. The box opens by lifting off the upper section. Use it to store cigarettes or matches. Current anti-smoking UK legislation still lets you own these in your own home. For the kids in your life - encourage them to keep the pearlies clean with a Muggins Toothbrush Holder.